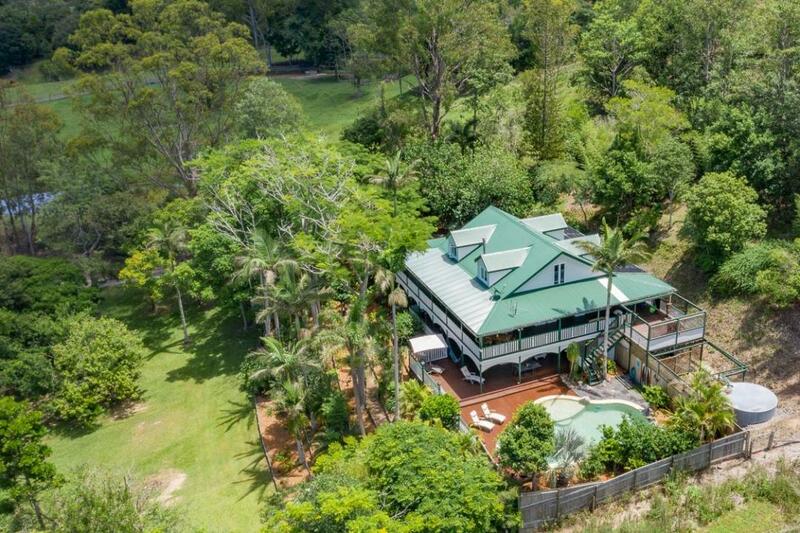 So close to everything the Sunshine Coast has to offer, this property located toward the end of a quiet country lane will feel like you're a million miles from all of life's hustle and bustle. 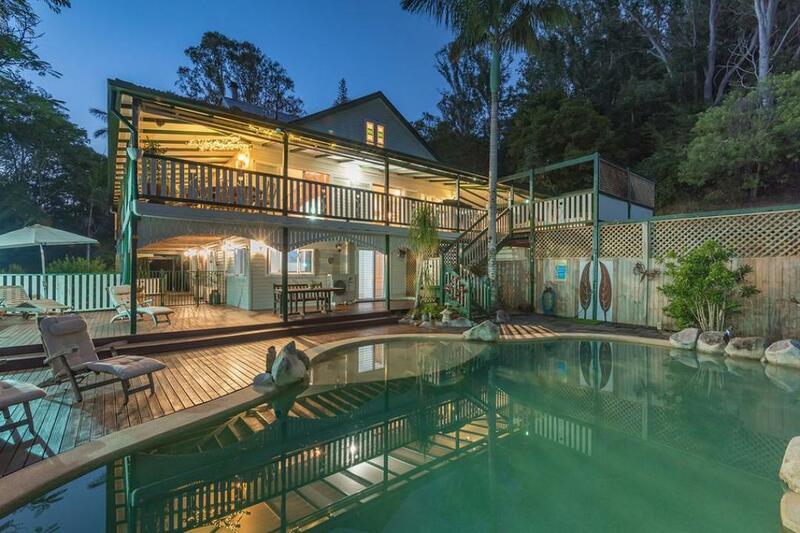 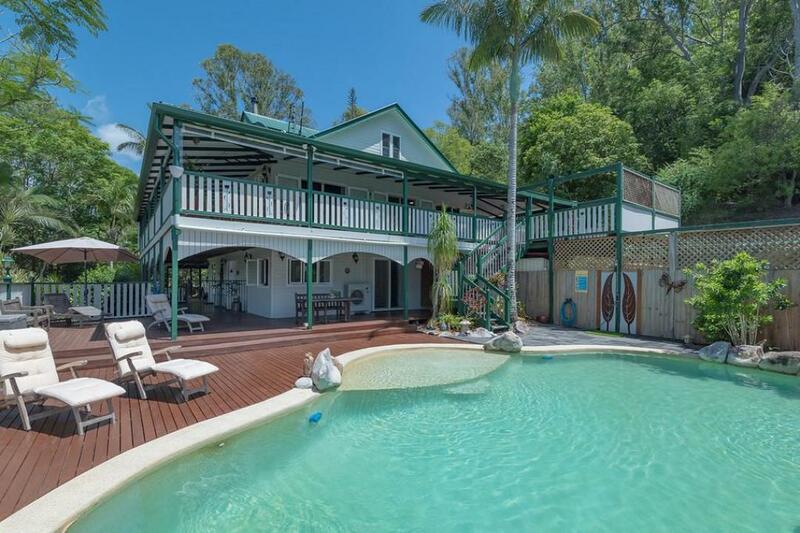 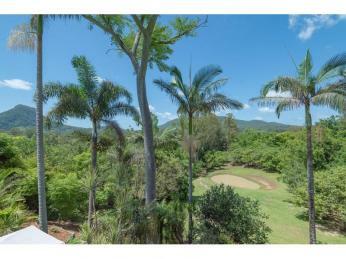 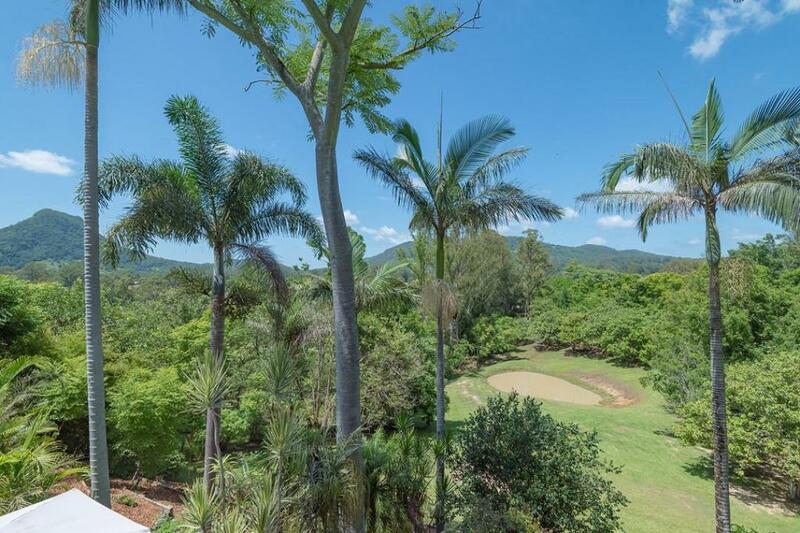 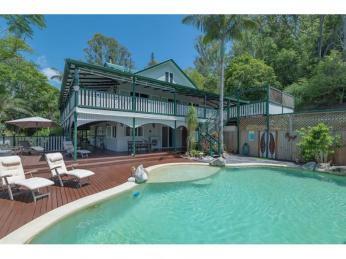 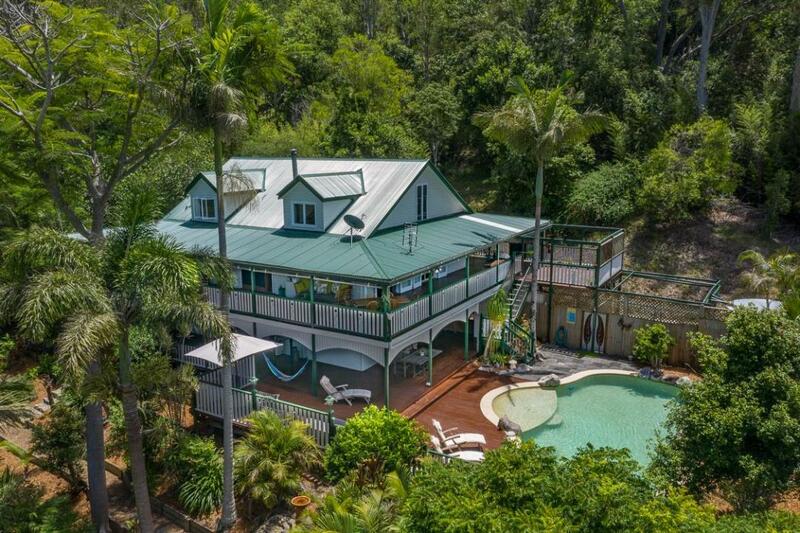 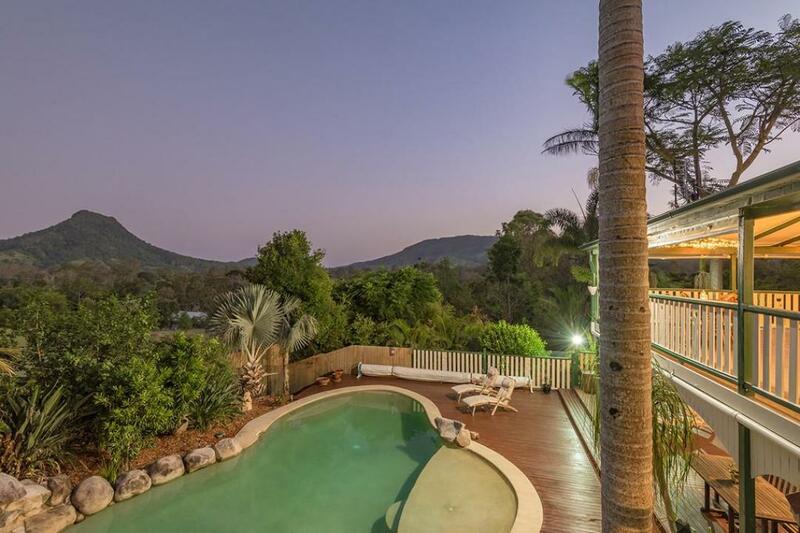 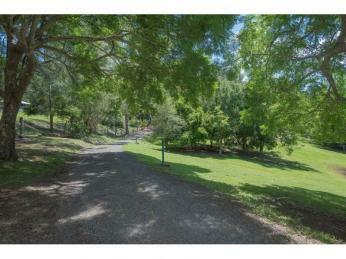 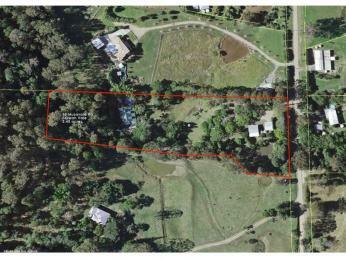 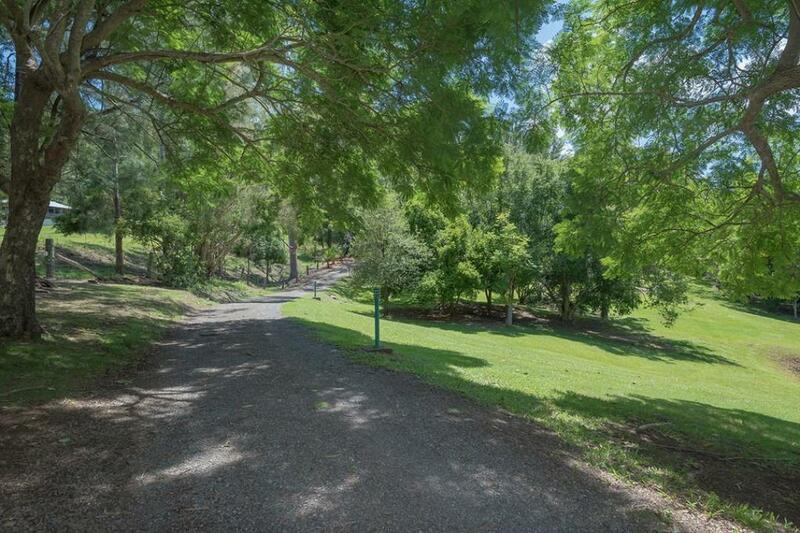 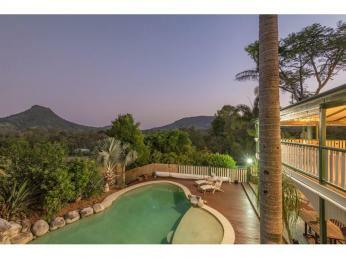 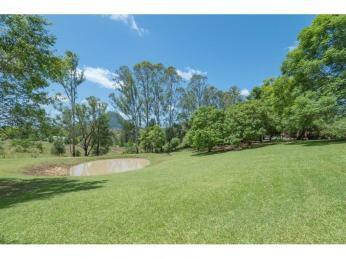 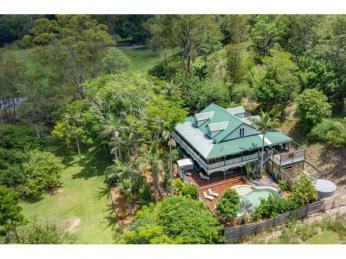 You'll find this lush 3.45 acre property just a short 5 minute drive to Eumundi in Noosa's hinterland. 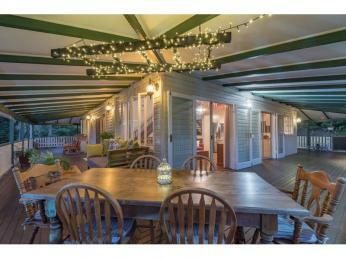 The bonus is, there are already two beautiful homes that provide endless possibilities. 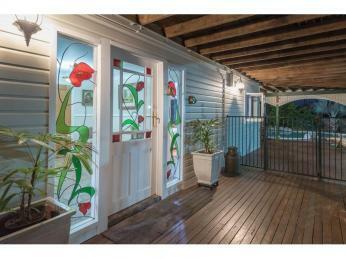 With a romantic feel, the main home has been freshly painted inside and out and is located privately up a night lit driveway. 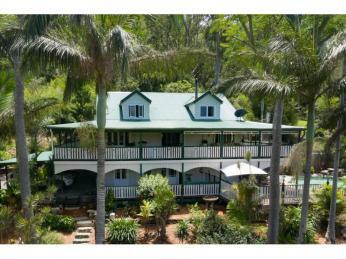 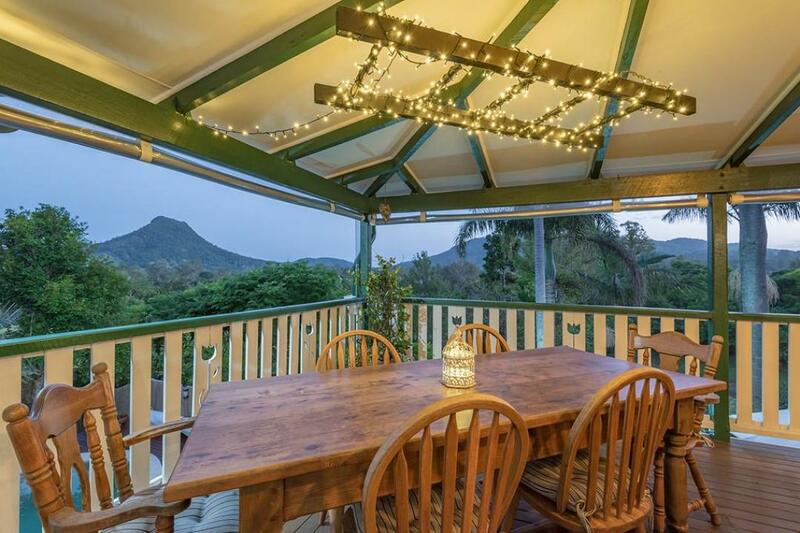 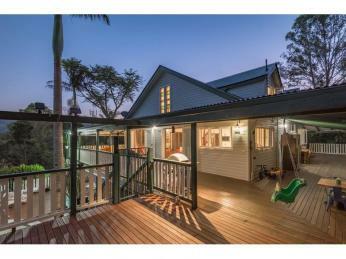 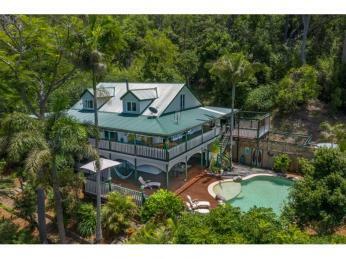 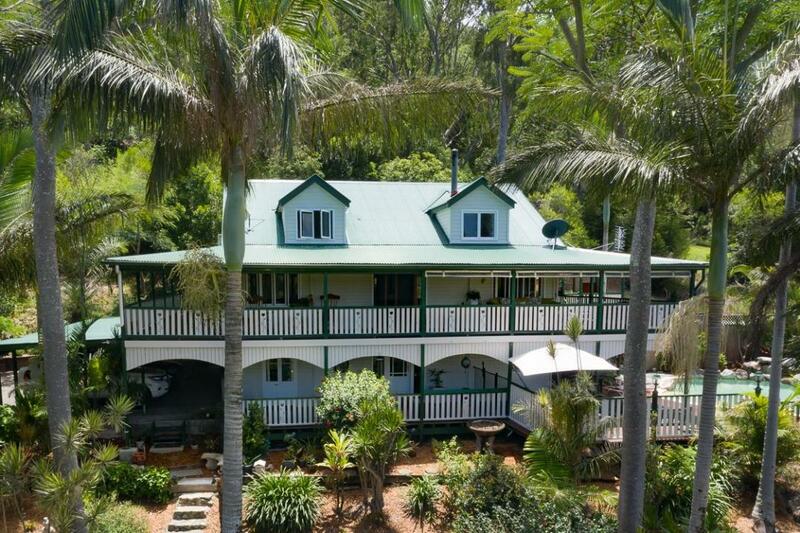 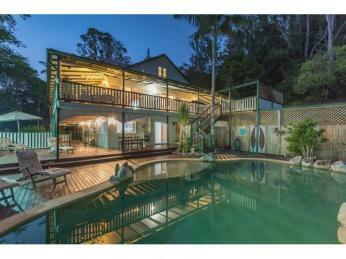 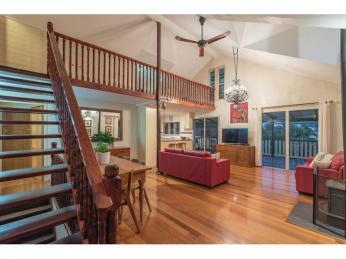 Full of character the home has a magic outlook and panoramic views to majestic Mt Eerwah and her ranges. 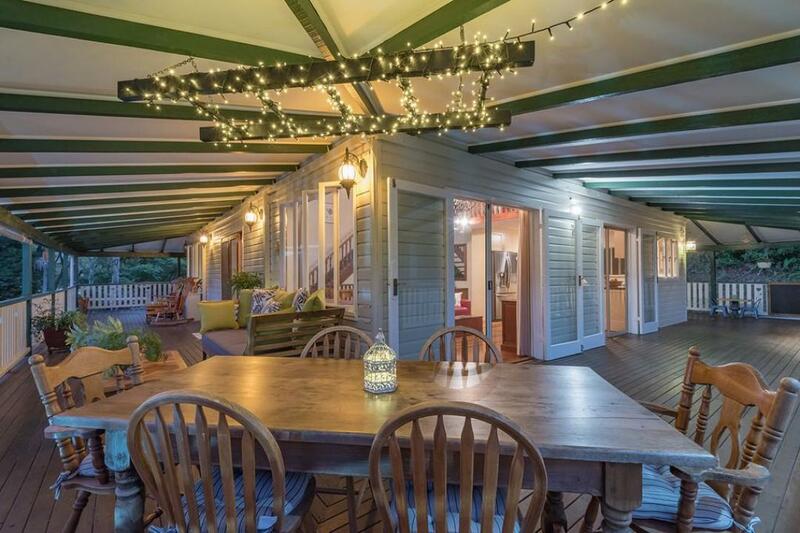 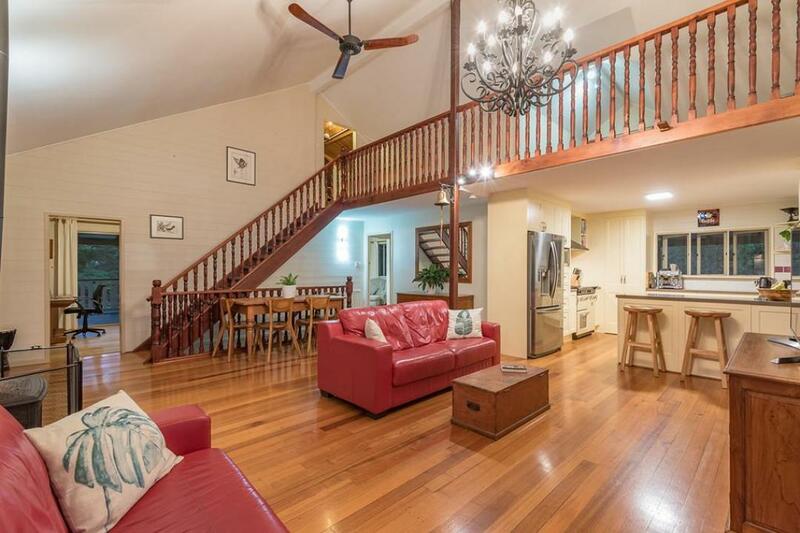 Once a luxury B&B, this charming home has a versatile floor plan that would work well for many aspirations whether they be for lifestyle or income. 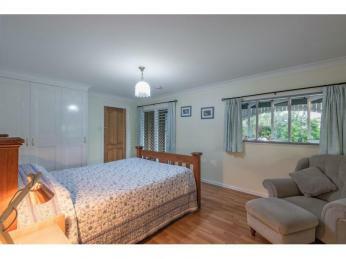 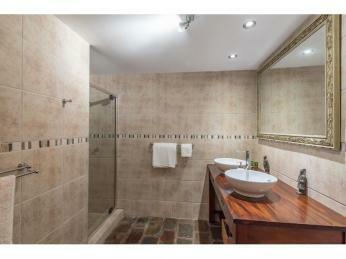 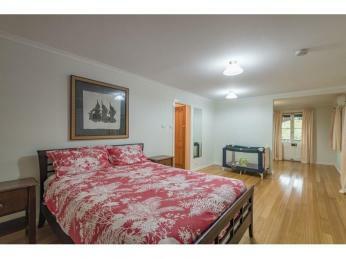 On the ground floor are two ensuited bedrooms accessed from a large foyer, both air conditioned and generous in size. 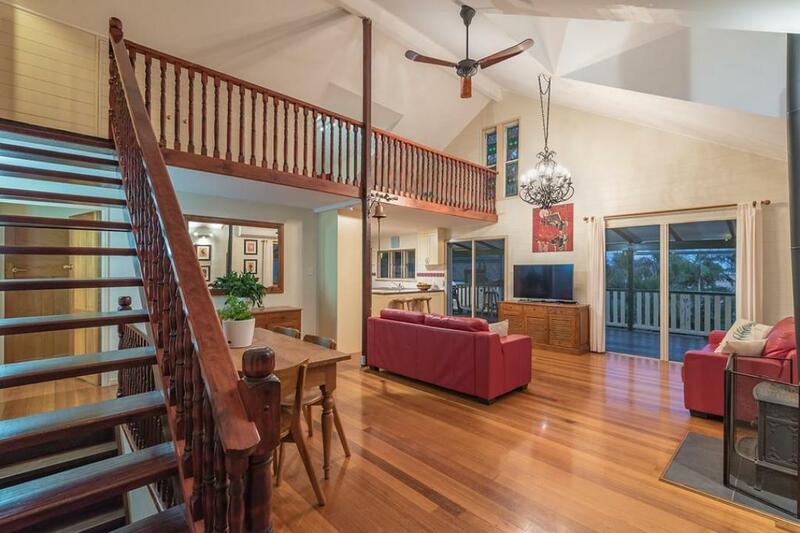 Internal timber stairs lead up to the open living area with soaring ceilings, timber floors and plenty of natural light through timber framed glass french doors that open onto 3m wide verandahs. 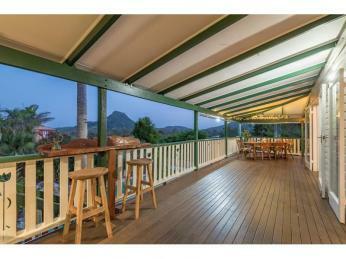 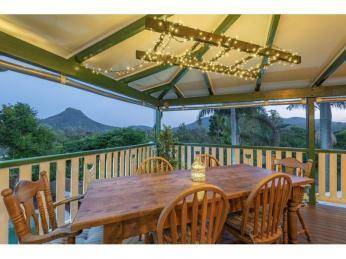 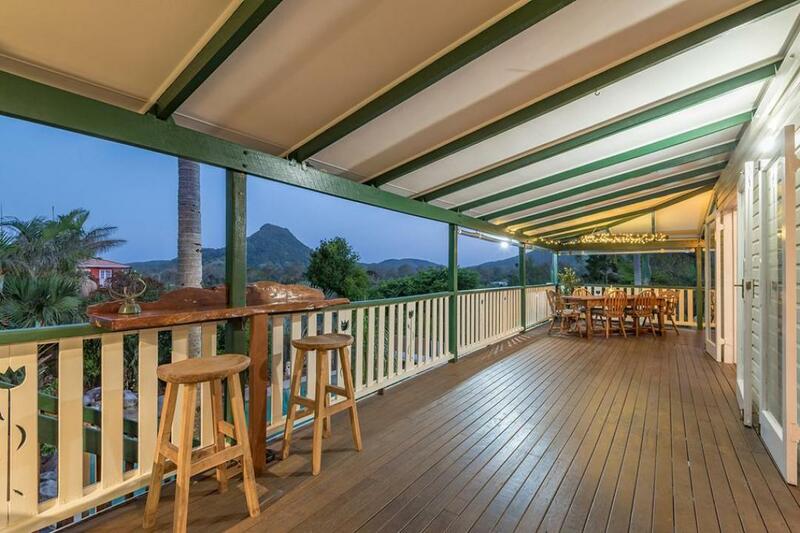 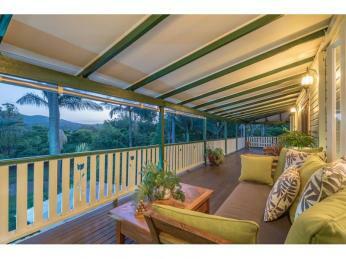 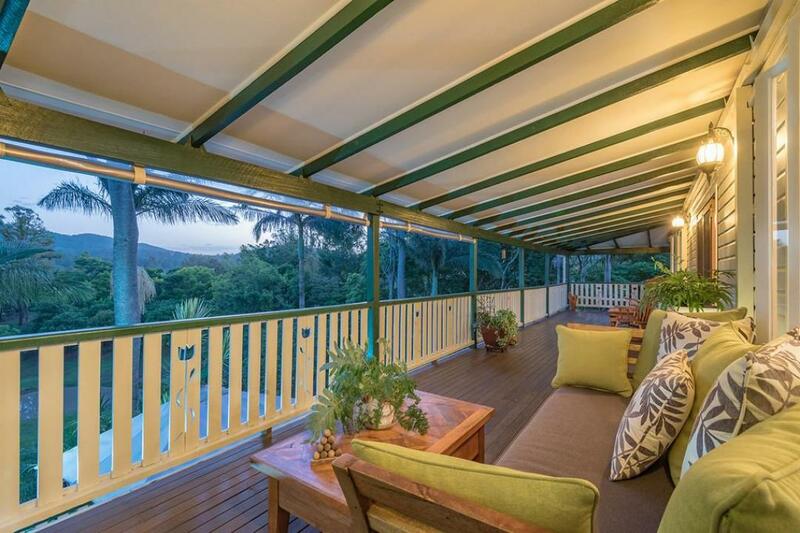 These verandahs wrap the whole home and provide added room to relax or entertain and enjoy the peaceful panorama. 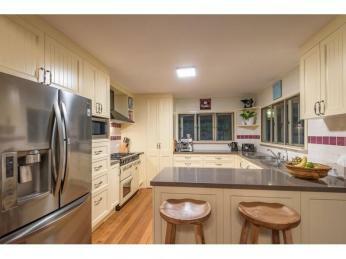 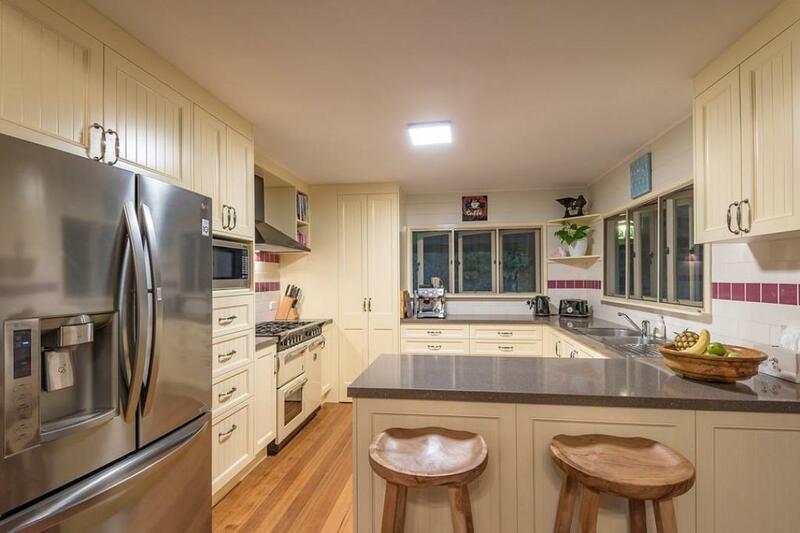 The kitchen was up dated only a few years ago and still retains that country charm yet now boasts Caesar stone bench tops and gorgeous Belling gas cook top with electric ovens. 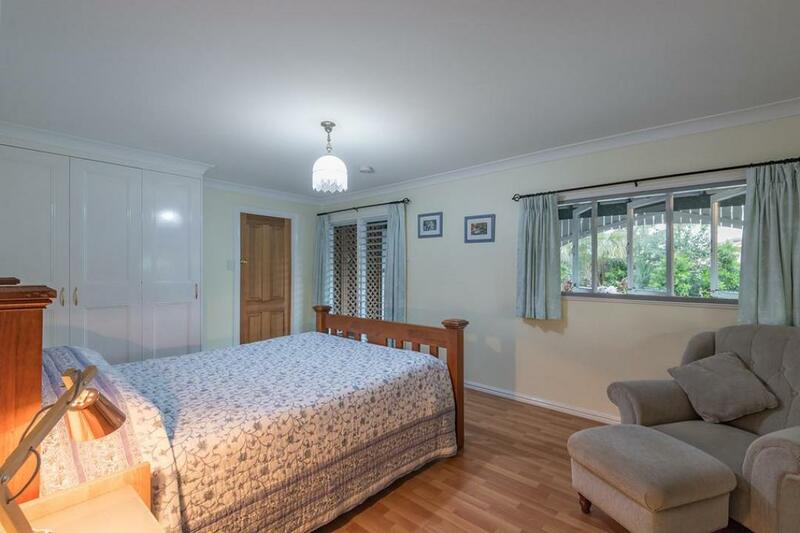 Also on this floor is the third bedroom and bathroom and a separate dining room. 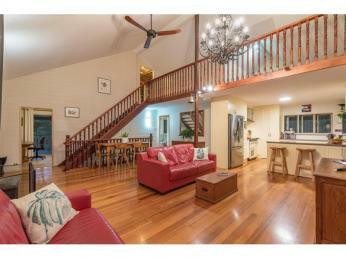 Upstairs on the mezzanine level is more room to enjoy and a fourth room that could easily be another bedroom, home office or study. 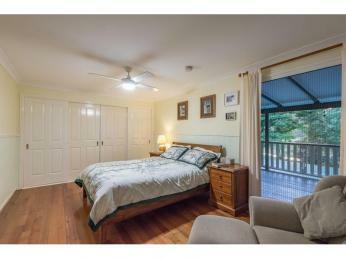 This room is also air conditioned. 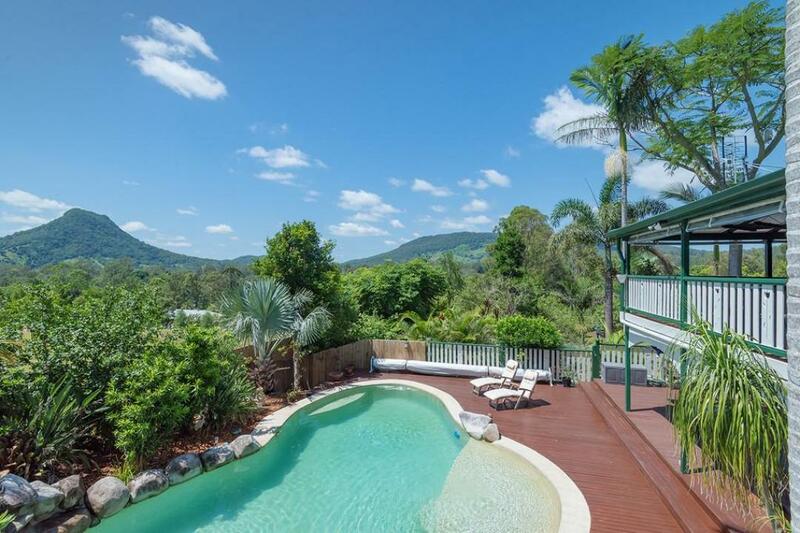 Adjoining the lower timber deck is the solar heated pool, just the spot to enjoy a swim all year round. 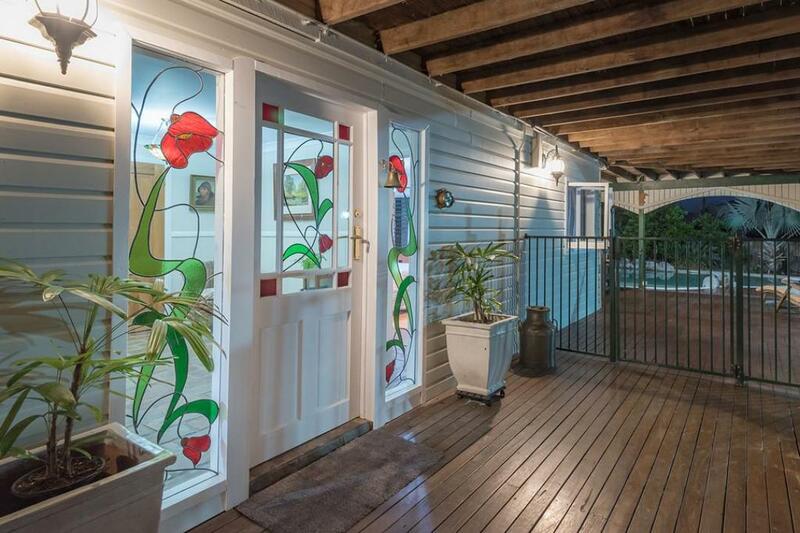 The low maintenance gardens are terraced and easily accessible, plus there's a couple of garden sheds for storage. 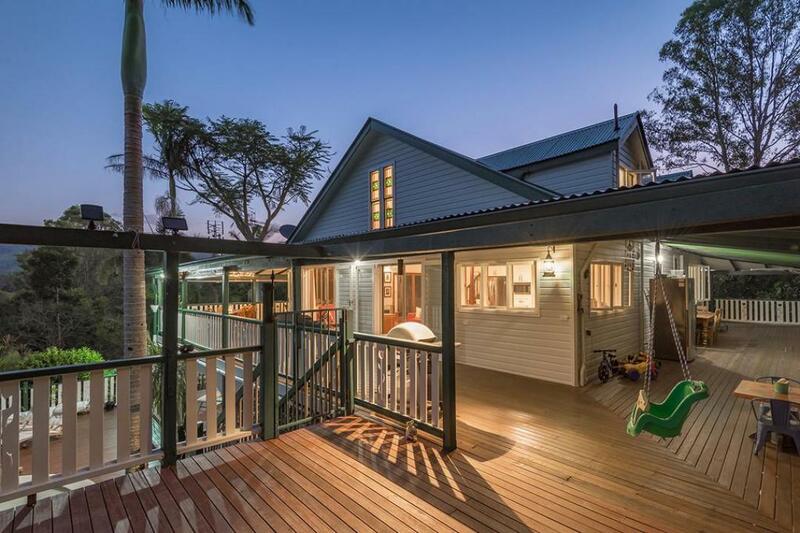 Set well away from this home is the delightful cottage. 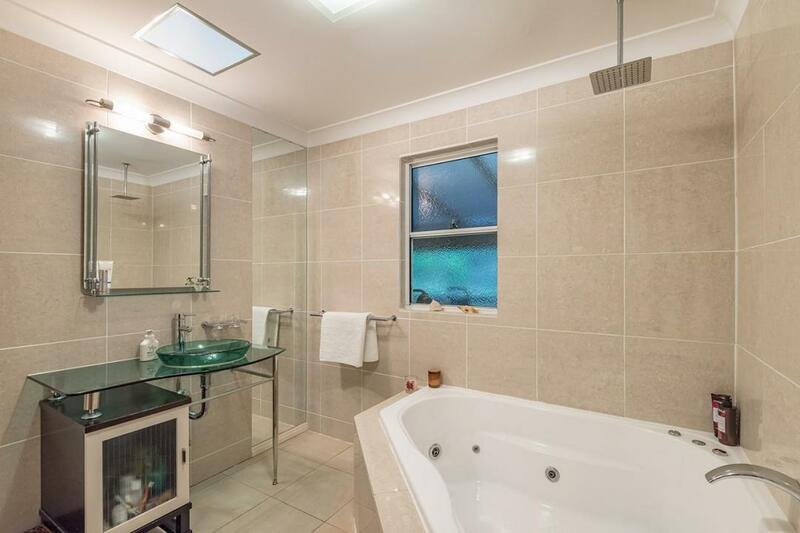 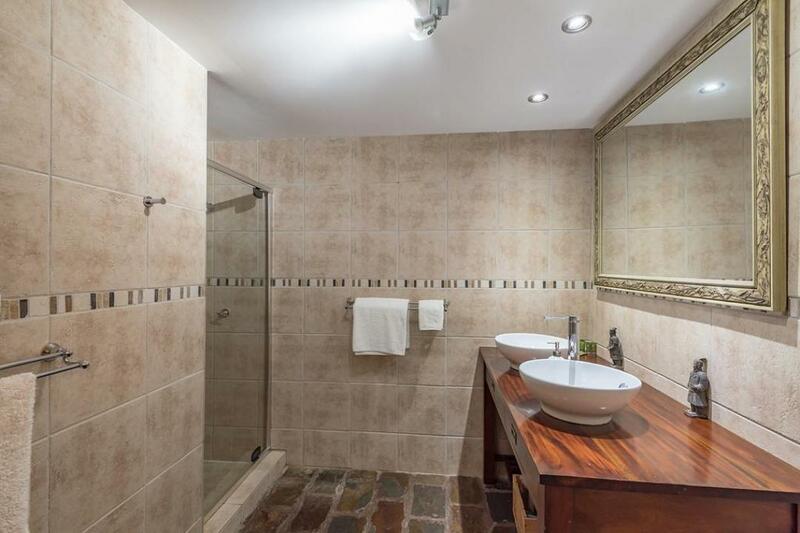 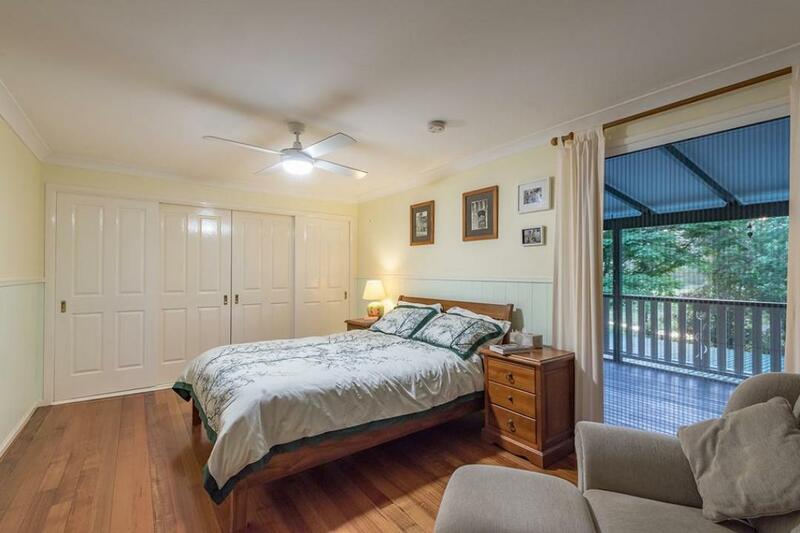 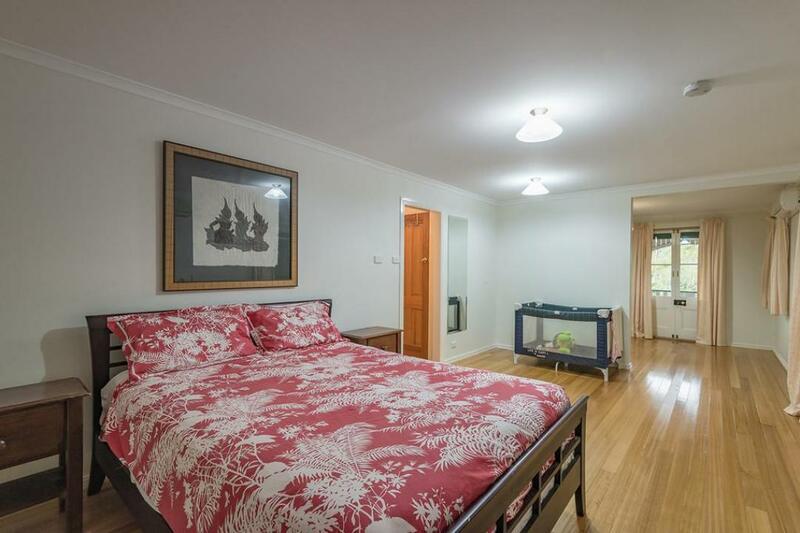 Built about 12 years ago and in excellent condition, it features an ensuited air conditioned bedroom, fully functioning kitchen, lounge, dining area with a slow combustion wood heater and a large verandah out the back that overlooks a dam. 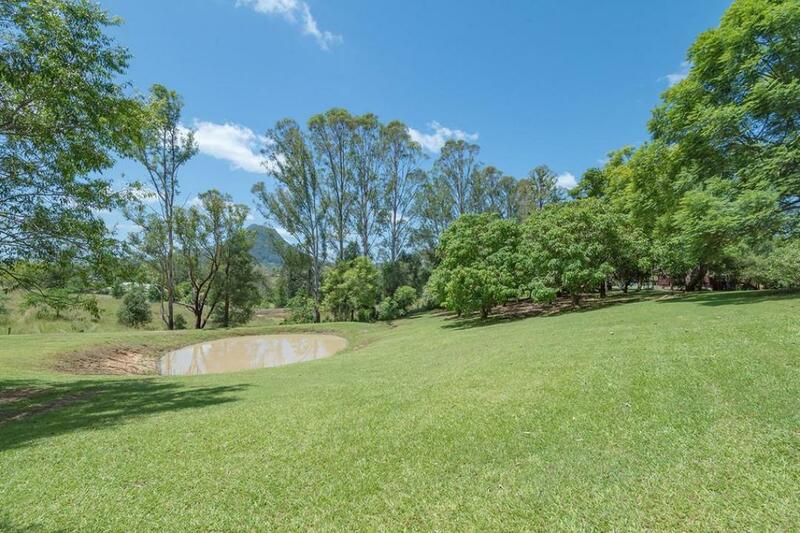 Other features of this incredible property include 6.6Kw solar panels, various mature fruit and nut trees, a bore, two dams, plus the property is fully fenced with the front gated entry via remote control. 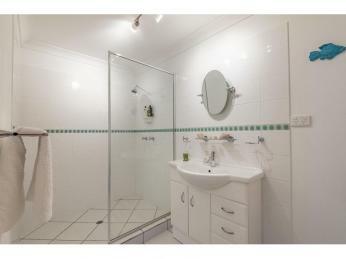 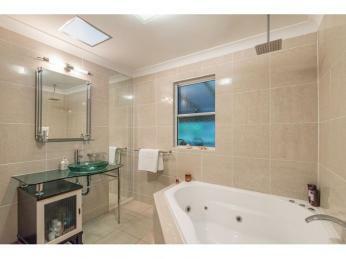 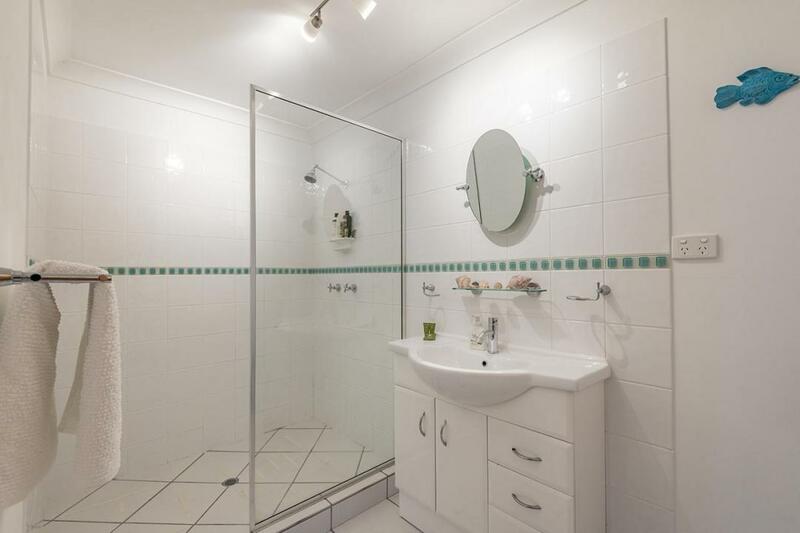 There's so much on offer here, this property has loads of appeal and is worthy of your inspection without delay.